When we wake up on January 1st, it seems we have been programmed to think about making a new years resolution. One of the most prevalent resolutions made each year is to “eat healthier and lose weight”(21.4% of respondents asked in a 247wallst.com poll). In a country (US) with a population with a 28% obesity rate, it is no wonder this is the biggest resolution. With so many resolutions to eat healthy occurring across the nation, I developed a delicious Grilled Honey Mustard Salmon on cedar planks and pulled together tips and tricks to eat healthy by using an electric grill. Eating healthier and losing weight are really two different resolutions. Just because you eat healthier foods doesn’t mean you will automatically lose weight. Yes, it can help but, if you don't follow portion control and eat well balanced meals with your salmon, you will only eat healthier and not necessarily achieve your goal of weight loss. I have been cooking for almost 30 years now and I can honestly say I was never a lover of salmon, you might even say I grew up in a “salmon hating” family. 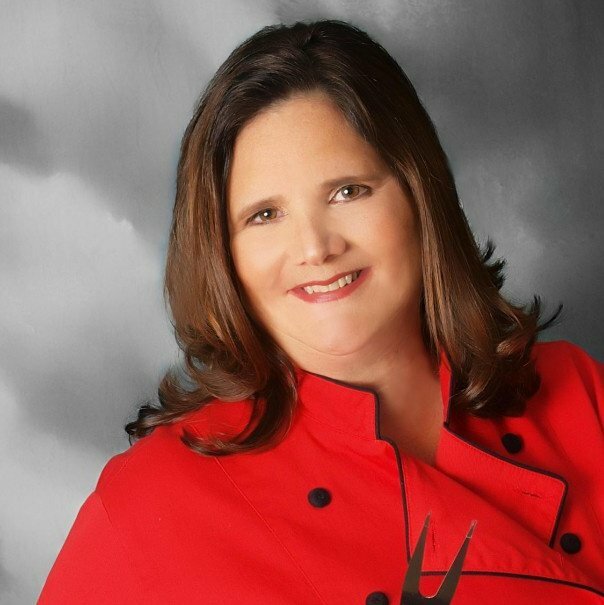 But once I decided to become a professional chef, I learned very quickly my clients wanted salmon cooked almost every way possible. Everyone felt poaching the salmon and serving it with a white dill sauce was the best way to consume salmon. I, on the other hand, found creating recipes that would help decrease the fishy flavor and cut back on the oily texture of the salmon would enhance the taste and even help “salmon haters” to enjoy salmon. There is research which shows 77% of adults never eat oily fish – and this rises to 90% of teenagers. I choose my Cedar Plank Grilled Honey Mustard Salmon on my ElectriChef Electric grill because the salmon takes on a slight smokey flavor and the tangy flavor of the mustard and sweetness of the honey with a touch of lemon helps the salmon taste clean, not fishy. No matter how you decide to cook your salmon, I recommend you have your fishmonger remove the skin, especially if you are introducing fish into your family’s life, the site of the skin can be an immediate turn off. As well, allow the salmon to rest to room temperature before cooking, drizzle fresh lemon juice over the salmon, and properly season both sides. Ingredients like: mustard, vinegar, honey, soy sauce, coconut milk, ginger, and pineapple will always help enhance the flavor of your salmon. My salmon recipe below is low in saturated fats, has lots of vitamins and essential minerals for your body, is good for your vision, heart and joints and helps to make losing weight easier. All in all, it is a very healthy recipe. Sure, eating salmon increases your glucose production and then triggers the brain to feel full longer but if you are trying to lose weight, you may need to leave the dill sauce and au gratin potatoes off your plate. 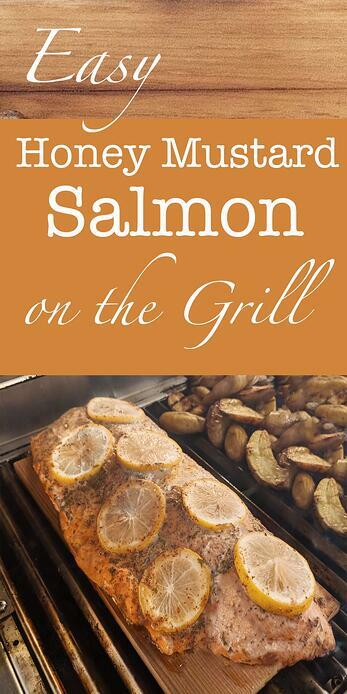 Please enjoy my salmon recipe and check my other ElectriChef grill recipes for grilled vegetables. Remember, it's not always the food that makes it unhealthy, it’s what we put on it. 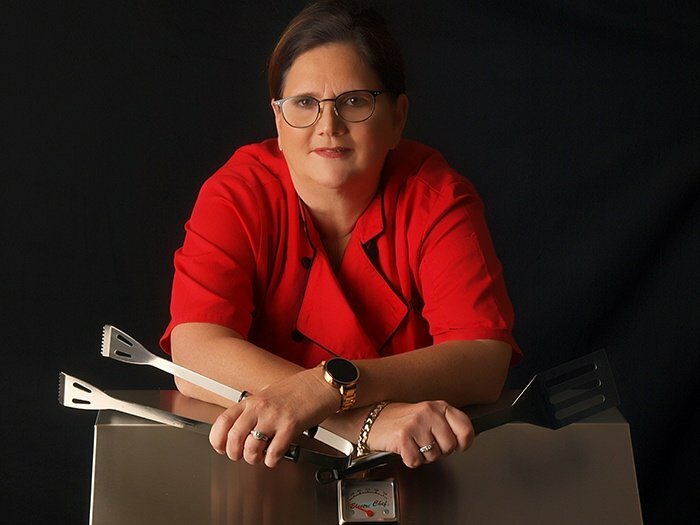 With the ElectriChef Grill you can let the flavor come from your food, not all the marinades and oils. We are what we eat, so this year go easy on yourself and make this year’s new years resolution a reality by eating well balanced, portion controlled meals throughout the year! Remove salmon fillets from refrigerator, rinse with cold water and pat dry with paper towels, allow to become room temperature. 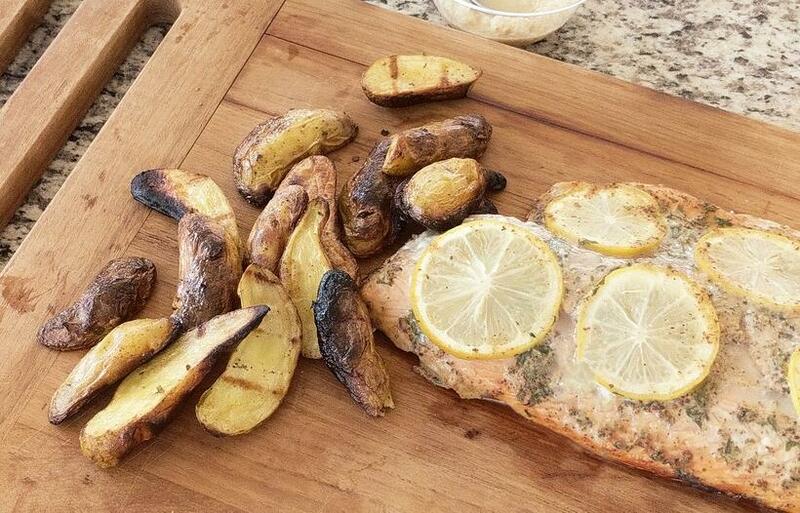 Place soaked cedar plank on a 1/2 metal sheet pan and place salmon on top. NOTE: Most whole salmon fillets will have a thinner side that appears as a flap, if this is present gently role that portion under the fillet so none of the fillet overhangs the cedar plank. If you would prefer individual fillets, have the fishmonger cut the salmon into equal fillets. There is a slight difference in cooking time so use a thermometer to determine doneness. Drizzle about half of the lemon juice over the whole salmon and massage lemon gently into the flesh, add mustard and 1/2 the honey to the extra lemon juice and whisk together until combined. Reserve leftover honey. With the presentation side of the salmon up, spread the mustard mixture generously over the salmon making sure to include the sides. Place slices of lemon evenly on the salmon. Sprinkle again with a little salt and pepper. Take a sheet pan out to the grill and using two heat sensitive utensil or oven mitts place the cedar plank directly on the ElectriChef grill grates. Close the lid immediately. After about 15 minutes, using a thermometer check the internal temperature of the salmon in the center or thickest part of the fillet, thermometer should read 140°F. Immediately close the lid of the grill and turn off grill. Allow the salmon to remain on grill for an additional 5-7 minutes to rest. The residual heat of the grill and smoke of the plank will help salmon reach a safe internal temperature of 145°F. NOTE: Some people prefer their salmon medium or medium rare. The internal temperature obviously would be closer to 120°F. Based on health standards my recommendation is to grill salmon to 145°F. Remove cedar plank from grill and place on a clean 1/2 metal sheet pan. REMEMBER THE PLANK CAN STILL BE BURNING, DO NOT PUT DIRECTLY ON PLASTIC OR WOOD! Line a large oval serving dish with greens (spinach or spring mix) and using a large knife run the knife under the salmon and slide onto the serving dish. Drizzle entire salmon fillet with reserved honey and serve with your delicious and nutritional grilled vegetables! My answer is you should not. You cannot wash a cedar plank with soap because the next use you will transfer soap to you protein. There will be oil and juices from the salmon you just grilled. My thought is the proper sanitation and storage process for next use is not worth the small cost to purchase another plank. Most packages are 2 planks and are not very expensive. Now all that is left is to enjoy a delicious well portioned grilled honey mustard salmon! What’s Next? Looking for more healthy recipes to grill? Try these parmesan herb grilled zucchini halves to have at your next meal!